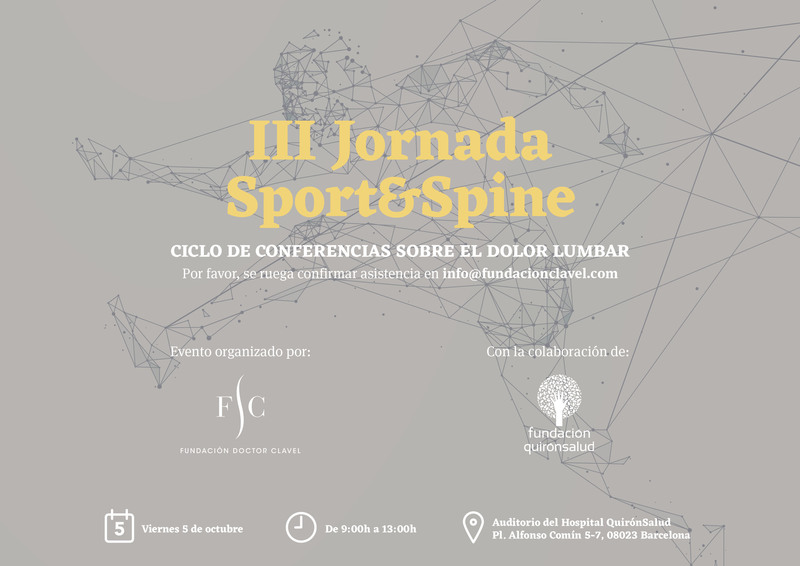 On 5th October, the Foundation Clavel @fundacionclavel will organize for the third consecutive year, the III Conference of Sport & Spine in collaboration with the Fundación Hospital QuironSalud in Barcelona. Sport & Spine, is a series of lectures and presentations by specialists in column, Orthopedic surgeons, neurosurgeons, physiotherapists and members of business health, responsible for give us guidelines to improve our quality of life. 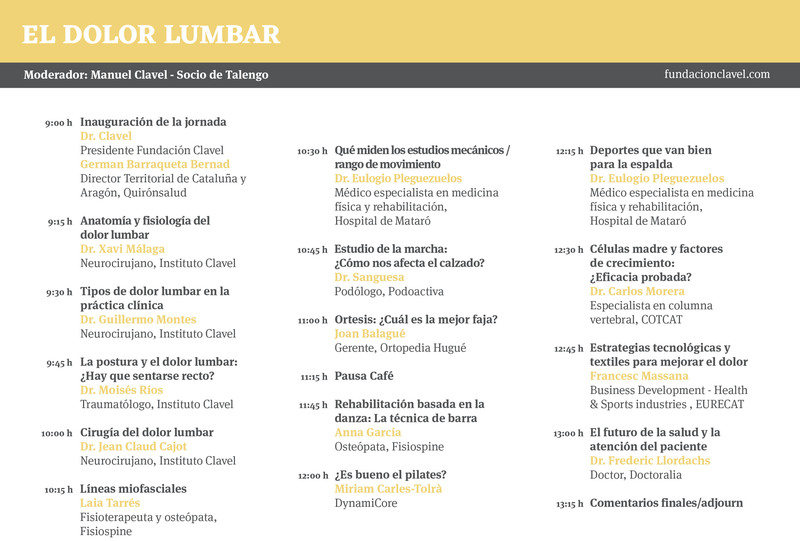 Dr. Carles Morera, spine surgery specialist, will talk about the cells mother and growth factors: do proven? This year will be open to the public, and will mainly treatlow back pain.